Gizmos, Gadgets, and Toys of Tomorrow…Today! Last year saw some amazing innovations in the field of technology. Some new smartphone models hit the market with impressive new features and freakishly interesting redesigns to boot. In 2013, such amazement included powering up a brand new phone and connecting it to another new piece of hardware, the Google Chromecast. Technology was amazing for those of us that revel in the unboxing ceremonies, watching videos and reading online reviews published by the privileged few that get sample products in advance. This year by no stretch of the imagination is going to put a stop to that trend. There is plenty more to come. 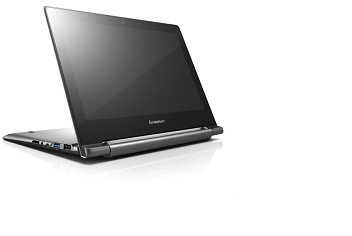 Here is the Lenovo N20P. Manufactured by Lenovo, this Chromebook is scheduled to hit the market in August of this year with a price point of $329. The design features a 10 point multi-touch display attached by a 360 degree rotating hinge. The display can fold up to 300 degrees backwards, granting the user a variety of options for their personal experience. The N20P will have an internal hard drive with up to 16GB of internal storage and 100GB of cloud storage on Google Drive. The Bluetooth and Wi-Fi options make it ideal for moving from place to place and staying connected. Over the past year, the success of the Chromebook has brought other manufacturers onboard to make their own versions of the Chromebook. This will be Lenovo’s first offering of a Chromebook device. Let’s talk game-changing. As most people that consider themselves fans of technology will agree, up until a couple of years ago, you only had two choices: Windows or Mac. In 2011, Google introduced the Chromebook series. Since then they have received notable positive reviews, even so far as being referred to as the new alternative to Windows and Mac. These Chromebooks do not require an optical drive or a massive amount of code for its operating system to function resulting in a fast operation. Additionally, The Chromebook works with the Google Chrome operating system with tens of thousands of applications available from the Google Store. These devices are much more lightweight than many of the bulky Windows and Mac laptops and with the addition of Lenovo, there are even more designs to choose from. The Lenovo N20P takes one more step away from the all too common condition of being forced to choose between Option “A” and Option “B”. Now, there’s an Option C.
When it comes to music, one of the most gratifying experiences is sitting down with a new album and not just playing it, but playing it in the way it was intended to be heard in the left and right ears. There’s just something about the quality of sound that can take a record from the likes of Radiohead, The Beatles, Florida Georgia Line, or RZA and bring it to a new life. These past years have seen some phenomenal innovations to sound products from headphones to audio solutions for your automobile. Some of the best products came to light in particular by the company Dr. Dre himself made in 2006 with legendary music producer Jimmy Lovine, Beats Audio. 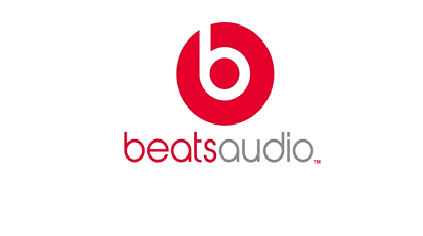 Beats Audio is currently partnered with HP in bringing hardware and software to the sound quality of their computers. Additionally, they are partnered with vehicle manufacturers Chrysler, Fiat, and Dodge and is known for its ground-breaking streaming service online. This is a great feature for people that want to be able to listen to music all the time without worrying about the memory or space on their phones. Some people have connectivity issues with computers and transferring the music to the phone can be tedious, making the streaming service a perfect solution. To make things more Earth-shattering, in a recent news headline Apple has reportedly proposed buying Beats Audio for $3.2 billion. Take the amazing hardware of Beats Audio, combine it with Apple’s software, shake over ice, and pour into a gradient-colored frosted glass: the potential is certainly something worth keeping an eye on. Stepping Into the New Comfort of Your Home. When you and the family leave the house, what happens while you are away? Aside from the family pet making the occasional mess from digging into the garbage, you can rest assured that not a lot goes on. Why? Well, there isn’t anyone to do anything. The Nest Thermostat is a programmable piece of equipment that automates, regulates, and changes its settings based on your choices. When you leave, let the temperature go up. When you are about to come home have it set to cool just before you arrive and be welcomed by a more comfortable environment. The devices are sensor driven and Wi-Fi enabled. They are advertised as being self-learning and programmable as well. This year, Google acquired Nest Labs. Interesting enough considering how much Apple is buying Beats Audio for: Google also paid $3.2 billion. 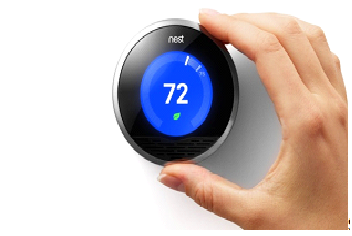 A thermostat by itself is not too amazing, but a smart thermostat such as the Nest Thermostat is a great way to save money and provide comfort. Now, when you add the resources of Google to the package, the sky is not even close to being a limit. In terms of what’s next, the device could be programmed by a text message, or it could even send text messages for certain criteria. Imagine, one day managing these devices through Google Calendar or Drive. Today, a smarter thermostat, tomorrow a fully automated home system with environment, lights, security, entertainment, kitchen and outdoor ambiance all controlled with a programmed automated system from the convenience of a smartphone. The technology is catching up with our imagination finally. After some amazing innovations in the past few years, 2014 is looking like a year of even greater expansion. These new business deals are not limited to better headphones, lighter and faster laptops, and streamlined thermostats, they represent the bridging of new industries, new ideas, and a promise of even better products on the horizon.